E-NEWS FROM THE PRESIDENT– More progress this month in moving our Association through the transition laid out and approved by the General Membership at the Las Vegas Reunion. Our improved web presence should come to fruition next week when we replace the old web page with an improved web page at www.blackhorse.org ——-We think it will be more attractive, intuitive, interactive and provide us the ability to provide information to the membership on a near real time basis. On Tuesday, 28 Oct. I signed a contract with Finish Line Awards (FLA) of Colorado to again provide Blackhorse memorabilia shopping for our soldiers and members. FLA indicates that they will go all out to get our memorabilia available for online shopping within four to five weeks. They already provide this service to two other regiments and several other division and service connected associations. We have placed a "Blackhorse Gear" link on our new web page to connect shoppers to FLA for ordering much like we previously provided through the Sutler Store. In a separate action, representatives from FLA, the Association and officials at Fort Irwin will meet within the next two to three weeks to discuss ways to again offer a "store front" at Irwin for in store shopping for our soldiers. The Fulda Reunion Committee has stepped up their promotion for that gathering because of very limited commitments to date. Study carefully Glenn Snodgrass’ notice in this Blackhorse E-News email to assist his planners—–we need time to react in event of a venue change for the 2009 reunion. Some of us will go to Fulda but if participation is such that we cannot conduct Association business due to lack of quorum, we will go to extraordinary lengths to accommodate our members at another stateside venue. Please help Glenn and the committee by responding promptly to their need for information about your intentions regarding the Fulda Reunion. And, in case we schedule a reunion at a different venue, watch for that news in the Blackhorse Newsletter, this monthly Blackhorse E-News and on our new web site. Gene Johnson, Director of Memberships has spent countless hours debugging our membership data base. When he published our Blackhorse Newsletter, he printed and mailed almost 19,000 papers to the members. In concert with the USPS, he did a four year address change review that is now about 80% reconciled. We know this has been a criticism of our members and we are bearing down hard on fixing the problem. Charlie Watkins and Gene have, just this month, fixed over 150 deficiencies where we over the years have been delinquent in posting correct addresses and responding promptly to the mailing of membership cards. Some problems still exist but rest assured this group of Officers and Directors is spending countless hours making things right. But I must say, many of the problems stem from members not updating address changes. So, we must all work together in this effort. Those at the Las Vegas Reunion will recall that the membership gave our leadership authority to revamp the scholarship program to accommodate the new scholars program. This Blackhorse Scholars Scholarship was made possible by a member who wishes to remain anonymous. This generous donor committed to $50,000 a year for four years and will match members’ donations to $100,000 for the same four years so as to provide full scholarships up to $25,000 a year for four years to special kids who have proven they deserve a scholarship of this tremendous magnitude. On 11/11 we will present the new scholarship guidance and application guidelines on our new web page that will be placed online on 9 November 2008, our Association’s 38th Birthday. Our next edition of the Blackhorse Newsletter will be posted in late January so be sure to watch for it. Gunner Wagner, who lives in the Philippines, has completed a detailed terrain walk and much study on the last Cavalry Charge and has been fortunate to be in contact with the Officer that commanded that charge. Colonel Ed Ramsey led that charge and has communicated with Gunner, confirmed Gunner’s map trace and terrain walk and has given his permission to Gunner to use many of his works in his article to be printed in the next Blackhorse Newsletter and subsequent posting on our new web. Colonel Ramsey is a member of the Association and we thank him for his permission to use his work in our publication. We need more of you to contribute to our three communication mediums—-Newsletter, E-News and Web. Share your experiences. We have arranged the new web to accommodate news and events and unit news. Dom Izzo has provided some great news on the Red Devils,Wes Walters on Thunderhorse and Glenn Allardyce on Workhorse. We need and welcome your input—–All you need to remember is that we are a 501 © 3 non-profit charitable and as such, the IRS requires us to remain apolitical. And of course, we Blackhorse folk would not use language that would embarrass or offend our children. Finally, you need to know how proud I am of the great group of Officers, Directors and Staff you provided me at the Las Vegas Reunion. They have helped us conduct an extraordinary due diligence effort. Their work as a result of our due diligence finds our Association in the finest condition of our 38 year history insofar as legal and statutory compliance and scholarship financial condition. But we as an Association have a dismal record of supporting the Association with operating funds. Without operating funds, we cannot implement a scholarship program—plain and simple. Example of our latest failure, we posted 19,000 Blackhorse Newsletters with four cut-out raffle tickets to garner funds for operations. Sadly, of 19,000 members only 54 people have responded as of 27 Oct 08 with a total of $740. I’m embarrassed for all of us. You still have until 31 Oct to post mark your raffle donation and mail it to Don Wicks, Dir. of Fundraising at 1807 Hunt Ave., Richland, WA 99354. If only 10% of our members contributed $100 a year, we could do amazing things with this Association. Remember, a commitment was made 39 years ago to one of our fallen brothers and we need to step up and step up now-not next week or month or year-Now. It is even more important that we step up now since we have 21 more fallen brothers from Operation Iraqi Freedom that have children that will need our help into the next decade. We must not give lip service to this need—it is real, it is noble and it is ours to do. Your Blackhorse Association has signed a three year contract with Finish Line Awards (FLA) out of Wellington, Colorado to operate our 11th ACR memorabilia web site. After several months of discovery and negotiation the contract was signed in late October. FLA have a similar arrangement in place with the 14th Cav Assn and it has been very successful and beneficial for both parties over the past 10 years or so. Expect to see the web site up late in the month of November. 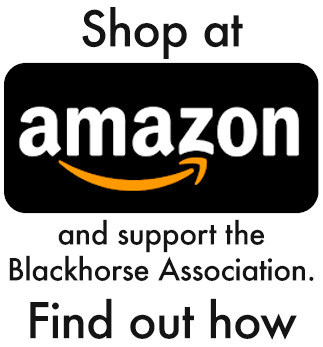 It will be accessible via www.Blackhorse.org, and once it is up and running, you will also be able to access it directly and place orders. The web site will have a new, improved look to it and the inventory will be updated over the upcoming months to reflect some of your inputs from the recently conducted June 08 Customer Survey. Stay tuned. More information to follow in the December E-News Letter. 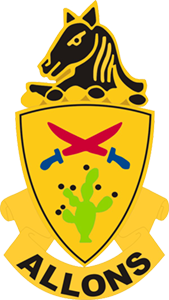 Meanwhile, we will be meeting with Finish Line Awards, the Ft. Irwin Command Group, the 11th ACR Command Group, and the Ft. Irwin Army Museum Manager in November at Ft. Irwin to discuss and develop a plan to reopen a Sutler’s Store of some sort there. We are hopeful that we can make this happen. There will be some challenges that we will need to overcome to make this work and over the longer term to keep anoperation open at Ft. Irwin. We will need your continuing support to a new setup to ensure that we can keep it in operation and available to support you. Our November meeting at Ft. Irwin will determine the nature of the new operation. The Blackhorse Association portion of the store front profits will go back to the association to support BHA operating costs and our Scholarship Program for the children of the regiment who have lost a parent while in the service of our country and our regiment. Stay tuned. We will give you an update on the Ft. Irwin reopened Store Front initiative in the December E-News Letter. Make your plans to travel to the American Legion Newport Harbor Post 291 on the bay in sunny Newport Beach, CA. Once again the charge will be lead by 11th ACVVC member, Blackhorse Association member and Post 291 Commander Steve Spriggs. The Hoedown has raised an average of $10,000 each year and we expect a full house once again. Contests & Raffle prize drawings throughout the evening! As of today, we have firm commitments (registration forms with money submitted) from only 14 people to attend the Border Legion Reunion 24-28 June 2009 in Germany . We have just learned that the 14th Cavalry will not participate as originally planned. In their note the 14th says "We are the older generation, and many of our members will have difficulty traveling to Europe and there are concerns about the worsening economy. As a consequence, the 14th Cav Association has decided to withdraw from the Border Legion reunion as a combined 11th/14th Cav reunion next year." (tom.smart@L-3com.com) know as soon as you can, but NOT LATER THAN 30 NOVEMBER, if you plan to attend the reunion scheduled for 24-28 note to them so we can get the best head count possible. A date that will always be well remembered – the border is said to be opened. Almost the entire squadron had moved out to the border being on alert. All actions and movements by East Germany were closely watched and people were wondering what was actually going on. Could it be true that the border was supposed to be opened? Could the Eastern government be trusted? The first cars started coming across the border and the highway that usually seemed to be deserted all of a sudden became very busy. You couldn’t only see but also smell the little Trabis. You saw people waving, beeping the horn of their cars, people dancing in the streets and many tears of joy. What many had hoped for but didn’t trust it to happen at that time became really true: The border was open! It was exciting having been stationed in Germany at that very moment and to become a witness of this striking and touching historic event. But it also meant: Mission accomplished and it was only a matter of time till the US Army would be withdrawn from Bad Hersfeld. In November 1994, when most of the soldiers had already left Bad Hersfeld, the US flag in front of HHQ was lowered in a farewell ceremony and handed over to the mayor of Bad Hersfeld. To commemorate the time 3/11th ACR was stationed in Bad Hersfeld, SCO, Roger Jones, planted the same day a tree downtown and set up a little memorial stone with a plaque . Home of 3/11th ACR and the town of Bad Hersfeld 19 years after the opening of the border. The casern, the housing area and sub-post looked quite deserted for a long time because the town and the State of Hesse couldn’t decide what should become of the former US facilities. In the course of time, however, logistics companies realized that Bad Hersfeld, now being situated in the middle of Germany, is a perfect place for them. Thus the town eventually has turned into a logistics center and many companies got settled here. Speaking of the post itself, HeadquartersBuilding became the home for Customs. Some company quarters were turned into education centers, some became offices for the Chamber of Commerce, a dental laboratory and a karate school. A religious sect changed the gym into quite an attractive church. In the rifle range Mattheus, an office equipment company, now sells their products and the tailor shop and the snack bar became a training center for future personnel of the hotel business. It’s open to the public and a good place to have a bite. In the motor-pool up the hill a logistics company and car service station got settled. At sub-post you’ll find the "Motorpool cafeteria", a car service station, offices and the MOT authorities. Even though the town itself has changed a little in the meantime, too, you’ll be surprised that most of the familiar places you went to still exist. Most areas have actually become much more attractive, so you can really say: Bad Hersfeld is worth visiting! How strong people still feel for the Americans was demonstrated on 11 September 2001. Coming home from work I used to pass our memorial stone. That night and many days to follow, people had put flowers and candles next to the stone and I got goose pimples every time driving by. So come back and visit – I can assure you Bad Hersfeld will welcome you with open arms!